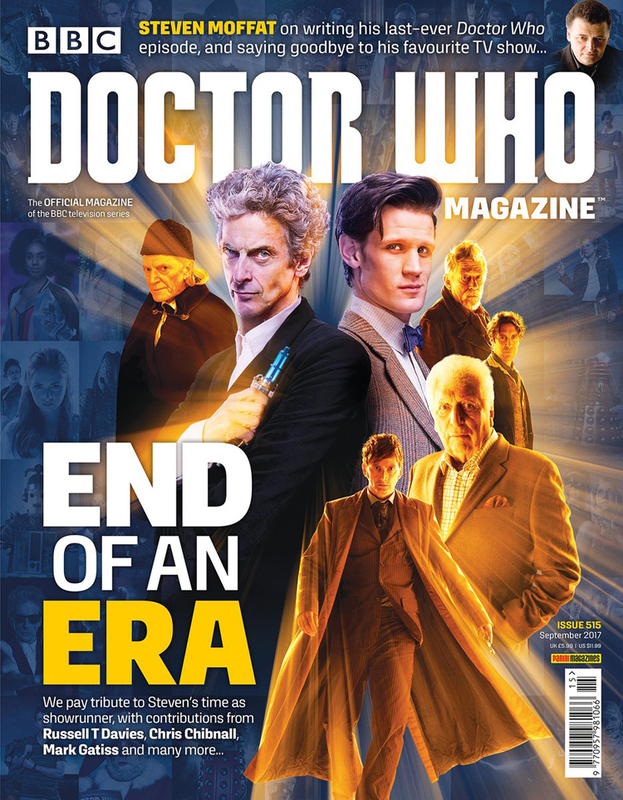 It’s a time for change, not only for Doctor Who, but also Doctor Who Magazine – as the next issue will be Tom Spilsbury’s last as editor! The magazine looks back at the last several years of Doctor Who, with outgoing showrunner, Steven Moffat leaving the show this Christmas. With his first contribution to the show written in 2004, The Empty Child/ The Doctor Dances (but screened in 2005), did he expect to still be writing for the series some thirteen years later? So what’s next for the writer? 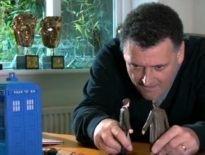 Production Notes Bids Adieu:Steven Moffat writes his final column for DWM, and his last-ever Doctor Who words! The Empire of Gatiss:The concluding part of an all-encompassing interview with actor/writer Mark Gatiss! The Parliament of Fear:There’s a brand-new adventure for the Doctor and Bill Potts in Part 1 of a new comic strip story, written by Scott Gray, with art by Staz Johnson. Rise and Fall:Reviews of the 2017 series, and its finale, World Enough and Time/The Doctor Falls. Turned Up to Eleven:The Fact of Fiction examines the Eleventh Doctor’s début adventure, 2010’s The Eleventh Hour! Reviews:The latest DVD and audio releases are put under the microscope. Coming Soon:Previews of all the latest Doctor Who CD and book releases. Doctor Who Magazine #515 is on sale from Thursday 27 July.